Piazza Escondida | Take a trip without leaving town. Take a trip without leaving town. 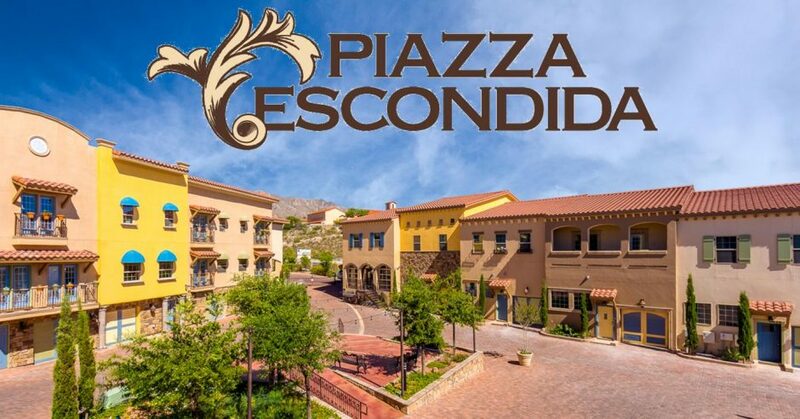 The Piazza Escondida is a timeless place in El Paso, Texas. It was conceived to be a place with an old world feel where someone could live, work, or relax. It is intended to be an “ideal” neighborhood with a variety of housing types, with public open space, and with convenient and accessible services It is becoming all of that, but also it is a place where when one enters, the surrounding world is left behind. I’d like to know the prices of the condos. There is a large variety of prices ranging from $135,900 to over $300,000, depending upon the unit type. You should come by and see them.